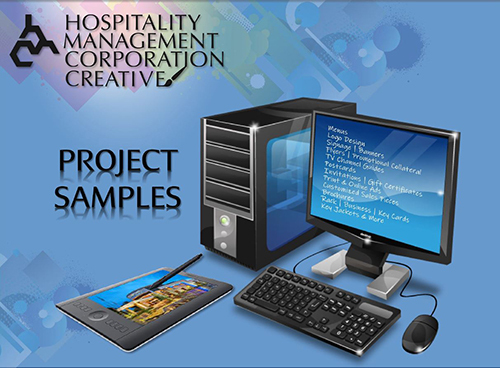 Unlike a majority of our competitors, Hospitality Management Corporation offers additional value to potential property owners and hotel staff with an “in house” creative agency. We offer every aspect of professional online and traditional advertising, media, print, signage, etc. to owners at a significantly lower cost than outside agencies. And who knows better about what your property needs than HMC corporate and field teams? Our employees and locally hired management staff are on-site or visit the properties on a regular basis and can determine how and where graphic needs should be met and communicate those needs without the middle man, with a much better understanding of your business and ways to most successfully promote it. Plus, because of the agency’s boutique environment, all materials are customized specifically for your hotel with extensive experience behind every decision. Brand consistencies are always top of mind and projects are evaluated on how best to drive your business, without the usual learning curve. We also turn projects much more quickly because we don’t have to deal with numerous people on the project or outside vendors. Our ultimate goal? To make you look better than the competition, boost your bottom line and grow your market share.